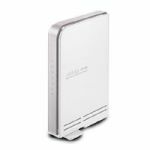 The WL-320gE wireless access point provides up to 850m of open space coverage range. 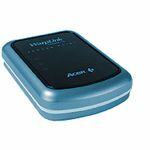 The AP also enables client, bridge, repeater and gateway functions to offer versatile wireless solutions for different WLAN environments. 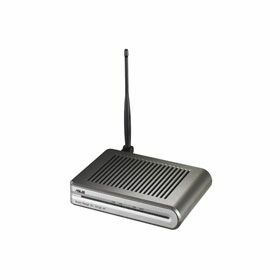 With built-in high-power amplifier with 20dBm average transmit power and 5dBi high-gain antenna, the WL-320gE delivers excellent signal quality and coverage range up to 850 meters in open space. 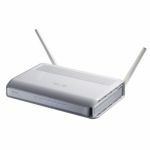 This is especially effective when in access point modes, which signal quality and coverage range play critical roles. The WL-320gE supports most enterprise network requirement, including SNMP, Multiple SSID and VLAN. SNMP standard (v3) support allows system administrators to manage multiple access points from remote locations. Furthermore multiple SSID and VLAN support offer a cost-effective solution to separate the physical environment into a virtual networking area with different security level for a wide range of application requirements. 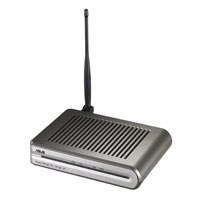 The ASUS WL-320gE AP works as a repeater, a bridge, a client and a gateway.